During the last part of July this year, we made a huge announcement about Fourerr Rewards. As of today, we take pride of being the ONLY marketplace where buyers and sellers earn rewards as they buy, sell, and connect with our vibrant community. As we launched this first-of-its kind reward scheme, our buyers and sellers got themselves familiar with Fourerr Levels, Profile, and Microjob Badges. And they all come with corresponding Fourerr coins! Fourerr Coins are also known as Fourerr Points. 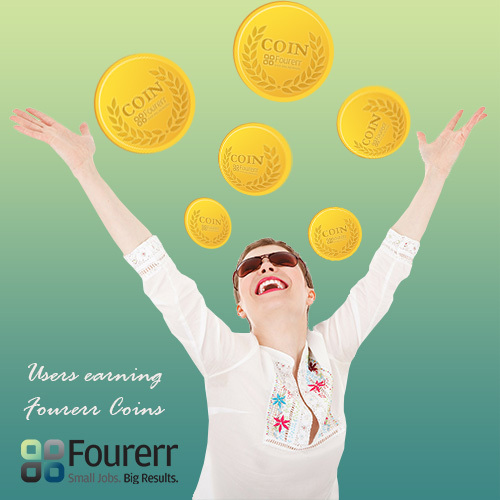 As you improve your profile, buy/sell micro jobs, and participate in our online community you get a corresponding number of Fourerr Coins. And here’s one great news— you can exchange your 100 Coins for $1 which you can use around Fourerr! We take our Fourerr community on a virtual platform, hence, giving them a state-of-the-art virtual rewarding experience. Brace yourselves as we change the way you look at “money” with our very own Fourerr Coins. A. Buy micro jobs on Fourerr without money. Are you eyeing for that seller who offers proofreading services? Or perhaps, you want to change your current logo design for your business but you’ve got a tight budget? With Fourerr, you will never be on an empty pocket! Yes, you can purchase Micro Jobs without any money! 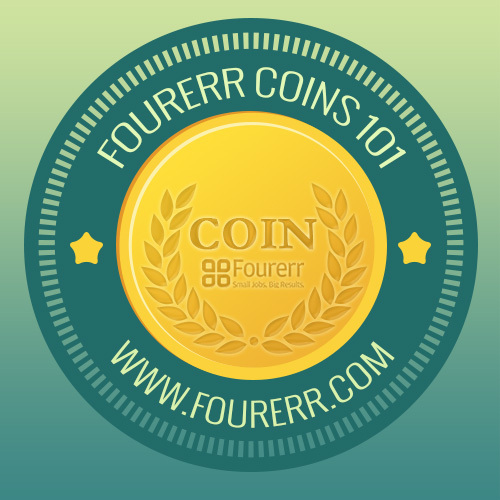 You can collect Fourerr Coins by completing a number of activities found here. Just by collecting 400 Fourerr Coins, you can purchase your first micro job! Based on our rule, 100 Fourerr Coins is equivalent to $1. Now, you do the Math! B. Feature micro jobs on Fourerr with your Fourerr coins. Have you noticed those ads on top of Google Search? They obviously get the higher chance of visibility and profitability. You can also do this on Fourerr. Featuring a Micro Job on Fourerr cost $5. If you don’t have $5 to feature your Micro Job, you can still avail of this service by earning Fourerr Coins! You would need 500 Fourerr Coins to feature your Micro Job so start with any activities like these to start earning! The button Fourerr Coins will only appear when you have sufficient Coins to buy this Micro Job. We aim to give the best of both worlds to each and every Fourerr users we have. So, what are you waiting for? Avail of the same rewarding experience and sign up on Fourerr now!